Add a little colour to your dining table with this Fair Trade felt ball placemat from Namaste. Handcrafted from 100% wool felt by skilled artisans in Nepal. 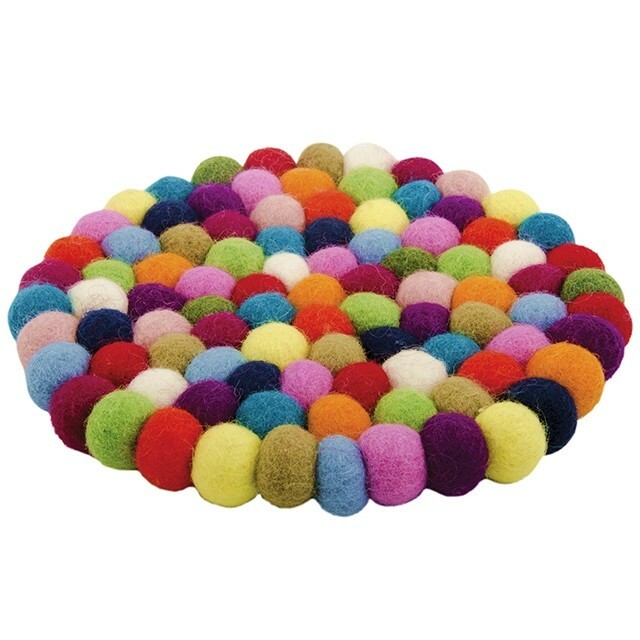 Each placemat has been handmade from small balls of rainbow coloured wool felt and skilfully pieced together to create this bright and fun placemat. Each mat is a little different and would be perfect for protecting surfaces from scratches and marks. Please note: Our Namaste felt products are all hand made in a variety of colours and the coaster you recieve may vary slightly from the images shown.